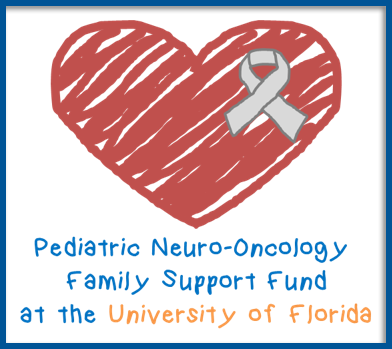 Neurological Surgery physicians at the University of Florida treat patients with scoliosis and kyphotic deformities. Juvenile Scoliosis occurs in the 3 to 10 year age group. These deformities tend to be progressive as children grow in more than half of cases. Bracing is often used as an initial treatment until the child grows sufficiently and reaches an age and body size suitable to appropriate surgical correction. In the more severe cases, surgery is performed before adolescence. Adolescent Idiopathic Scoliosis is the most common form of scoliosis, occurring in the 10 – 17-year-old patients. There is no identifiable cause for this disorder, and it varies greatly in it symptoms and severity. Decisions for treatment are based on the severity of the curvature, and the progression or worsening of the curvature. This condition is typically not painful, except in the most severe cases and not associated with neurologic deficits including lower extremity weakness or numbness. The majority of these conditions occur in the thoracic spine, below the neck and above the low back region. Scoliosis that was thought to be stable during adolescence and young adult life may worsen with the appearance of degenerative arthritis. This Neglected or Decompensated Scoliosis may become severely symptomatic in later adult life. Adult Degenerative Scoliosis is an increasingly more common form of scoliosis which appears in adult life along with the onset of degenerative arthritis in the lumbar spine. These patients did not have Scoliosis as children. It worsens with age and is often associated with pain and nerve compression from spinal stenosis. Treatment recommendations are made based on a combination of the severity of the curvature of the spine, the impact on the patient’s ability to function on a day-to-day basis, their age and other medical conditions. In very selected cases in younger, cosmetic appearance is a reason for surgery. In general, the treatment should match the magnitude and risks of the symptoms. In more mild forms of spinal deformities, bracing may be an option for younger patients where the spine may be .encouraged. to grow straighter. Adults may get some relief of pain with a brace, but it will not correct the deformity. Bracing may cause some problems like skin irritation or muscle disuse. A mainstay of treatment is the flexibility and core strengthening of the spine, which can be enhanced by Physiotherapy (PT). There are many acceptable forms of PT, but they all share an active component where the patient exercises and strengthens the spinal musculature, improves range of motion and balance. It should be an active process, not simply limited to passive modalities like heat, ice or massage. The injection of cortisone and similar medications with can offer temporary of focal relief of pain from mild nerve compression or joint arthritis. The injections are frequently repeated in groups of three and can only be given safely once or twice per year because of the side effects of the medications. Prior to considering surgery, the typical patient should have tried and failed to manage their symptoms with non-operative treatments. Surgery should be considered in patients whose pain in medically refractory, or have neurologic symptoms including weakness, numbness or bowel or bladder dysfunction. Progressive worsening of the curvature is a common reason for surgery, and is the reason that patients are followed with yearly x-rays. Severe curves are felt to be unstable and tend to worsen despite all efforts at non-operative treatment; like a tree falling over, beyond a certain point it cannot be stopped without intervention. Preoperative X-ray of a young patient with previous lumbar fusion surgery resulting in a Flat Back Syndrome; unable to walk upright or stand; with disabling pain The same patient, 2 years postop with improved balance and normal ability to stand upright, back to work full time. Preoperative X-ray of an elderly patient with progressive scoliosis since childhood. The severity of the curvature had progressed and become painful. Postoperative X-rays of the same patient showing correction of the curvature. Preoperative X-ray of a patient with Ankylosing Spondylitis who was unable to stand up and could not look above the ground level. Postoperative X-ray of the same patient, now looking straight ahead.